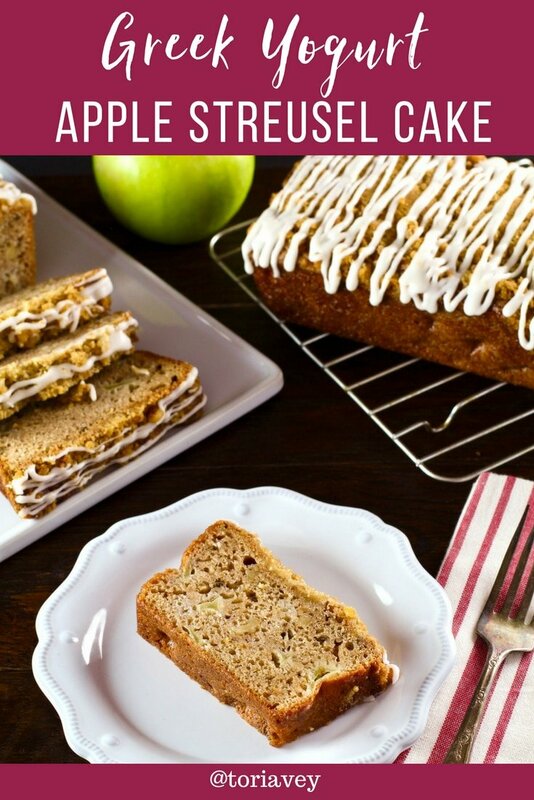 This Greek Yogurt Apple Streusel Cake is a great way to use up leftover Greek yogurt. Deliciously moist and tender, the flavor of this easy dessert cake is enhanced by cinnamon, a sweet, nutty streusel topping, and a pretty white icing glaze. 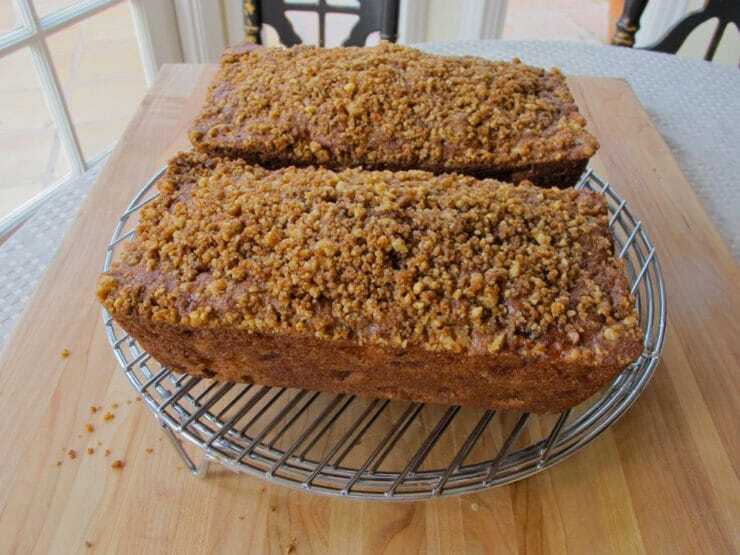 For holidays and family gatherings, I love making loaf cakes and quick breads. The tradition started when I was a kid. A woman my mom knew would bake these amazing little loaf cakes and sell them to acquaintances leading up to each holiday. We looked forward to them all year long. 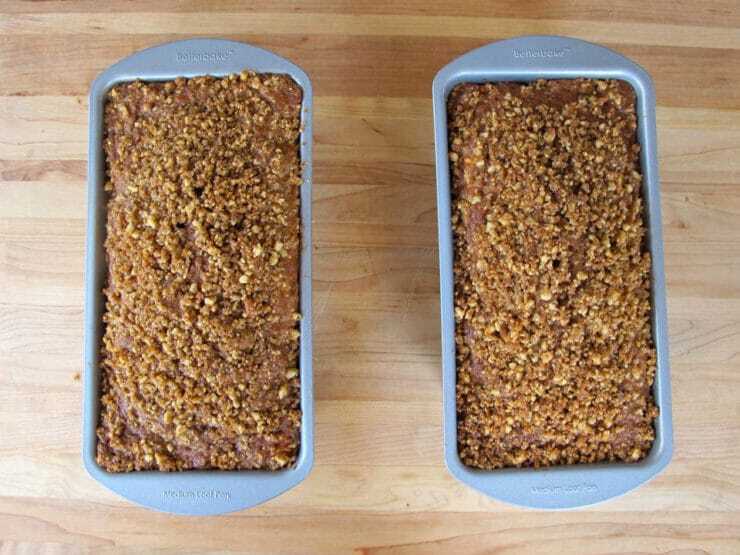 Now, I make the loaf cakes myself instead of buying them and give them away as gifts. 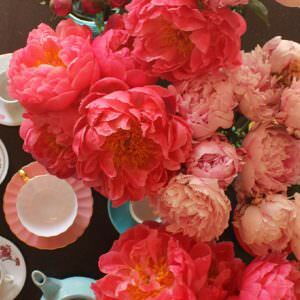 I wrap them up in wax paper with a piece of twine, offering them to the people I love as parting gifts after our holiday parties. This Greek Yogurt Apple Streusel cake is a particular favorite, a fruity alternative to traditional coffee cake. It’s truly easy to make, even for a novice baker. Greek yogurt is a great way to add moisture to simple cakes and quick breads. 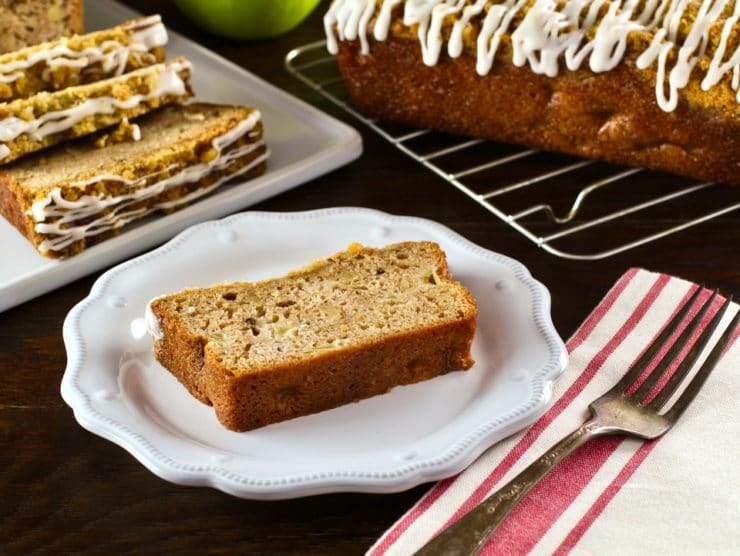 The yogurt gives a lovely texture and flavor to this Apple Streusel Cake. This recipe is the perfect easy cake to bring to a family gathering, or to serve at a brunch buffet. 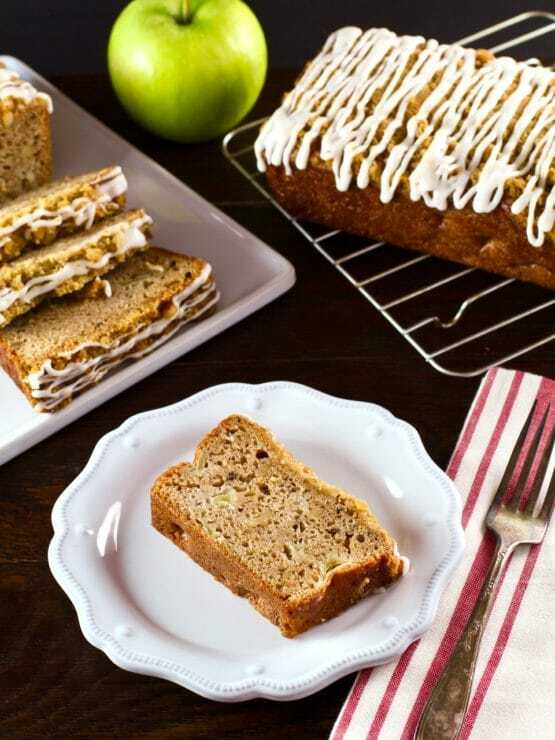 Try a slice with a cup of hot tea or coffee– it’s sort of like the lighter apple version of a sour cream coffee cake. You’ll love it! If you don’t have Greek yogurt on hand, sour cream will also work here. This cake would be a nice addition to a Rosh Hashanah buffet; keep in mind that it does contain dairy, if you’re keeping things kosher. Enjoy! 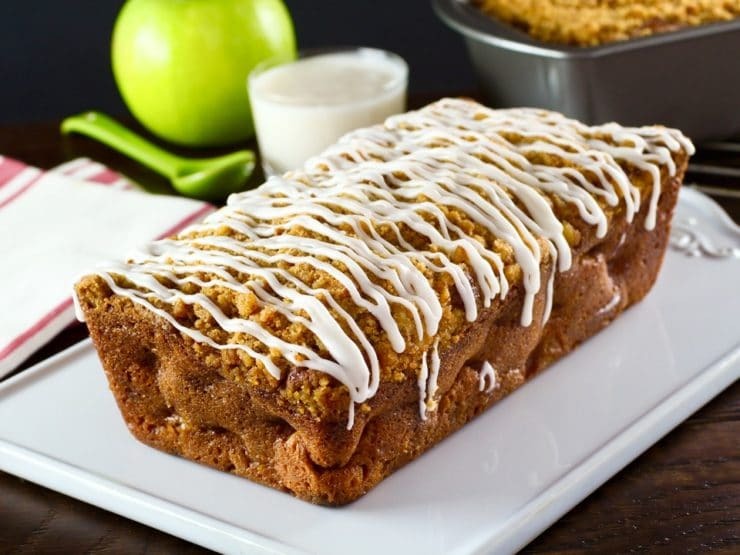 Greek Yogurt Apple Streusel Cake, a simple, moist loaf cake with lots of cinnamon, a sweet, nutty streusel topping, and a pretty white icing glaze. Put peeled apples into a bowl of cold water mixed with lemon juice. Reserve. Place a rack in the center of the oven and preheat to 325 degrees F. Cut the butter into small chunks and place in a large mixing bowl along with 1 1/2 cups sugar. 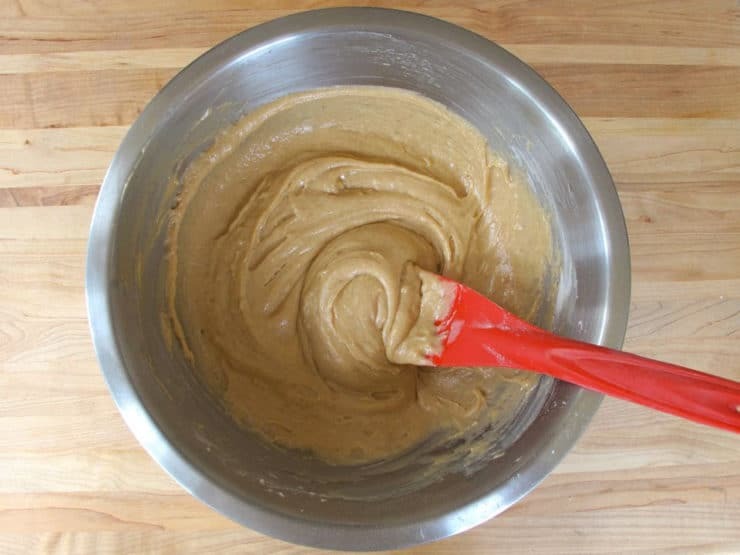 Use an electric mixer to beat together the butter and sugar for a few minutes. 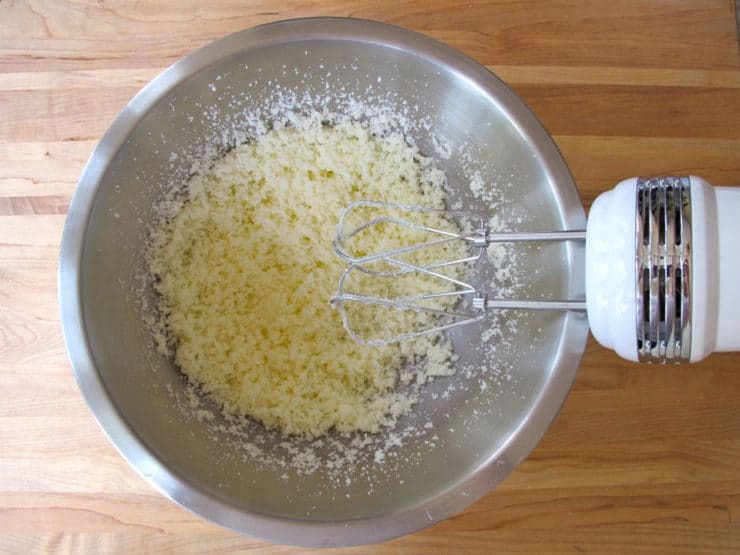 Make sure the butter is fully integrated into the sugar and the mixture turns into small, even-sized crumbs. Add the eggs and oil to the bowl. Continue to mix until smooth. Add the Greek yogurt, vanilla and almond extract to the bowl. 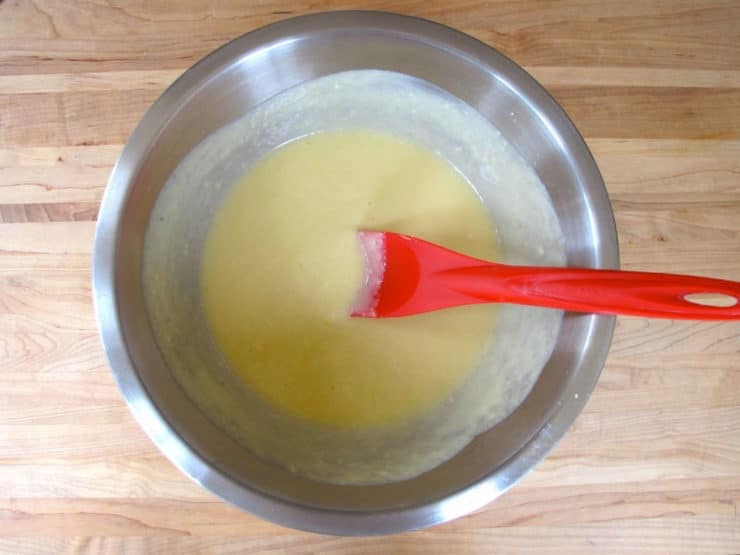 Use a spatula to stir the mixture until smooth. 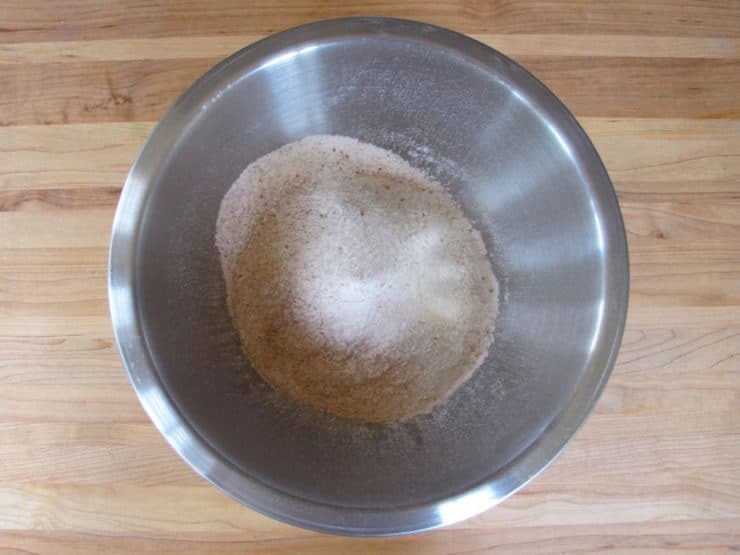 In a medium bowl, sift together 2 ¼ cups flour, baking soda, 1 ½ tsp cinnamon, ¼ tsp salt, nutmeg and cloves. 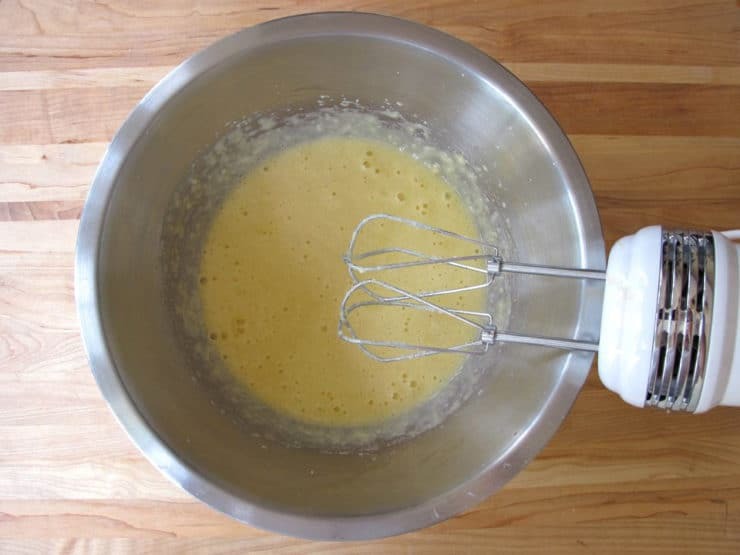 Fold the dry ingredients into the wet to make a thick batter. Don’t overmix—a few lumps are okay. 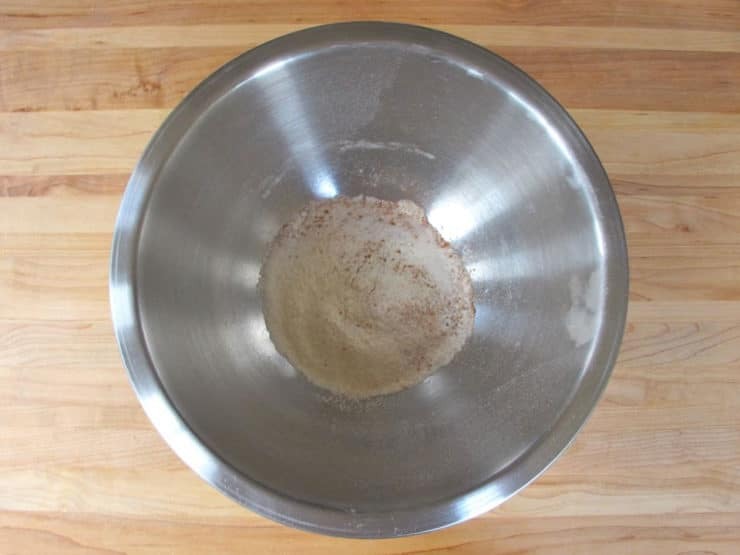 In the same medium bowl you used to sift the flour, sift together remaining ¼ cup flour, 2 tbsp sugar and ¼ tsp cinnamon. Drain the peeled apples and pat dry. 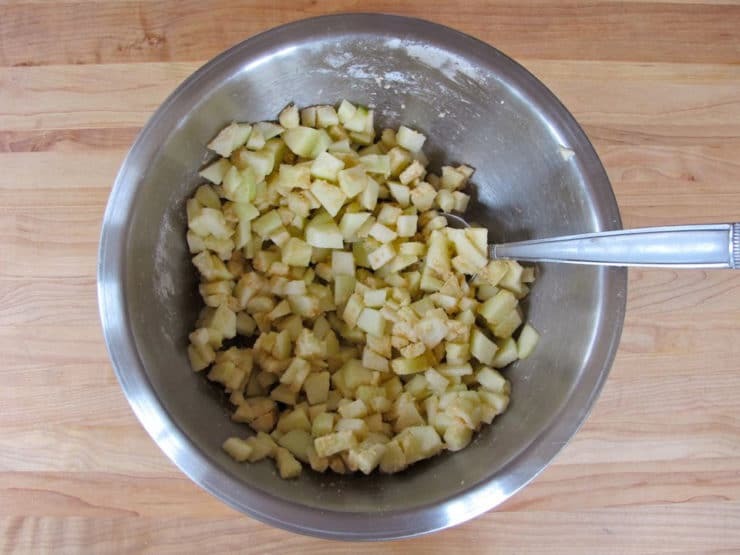 Core the apples and dice them into small ¼ inch chunks. Add the apple chunks to the flour, sugar and cinnamon mixture. Toss the apple chunks with the flour until evenly coated. 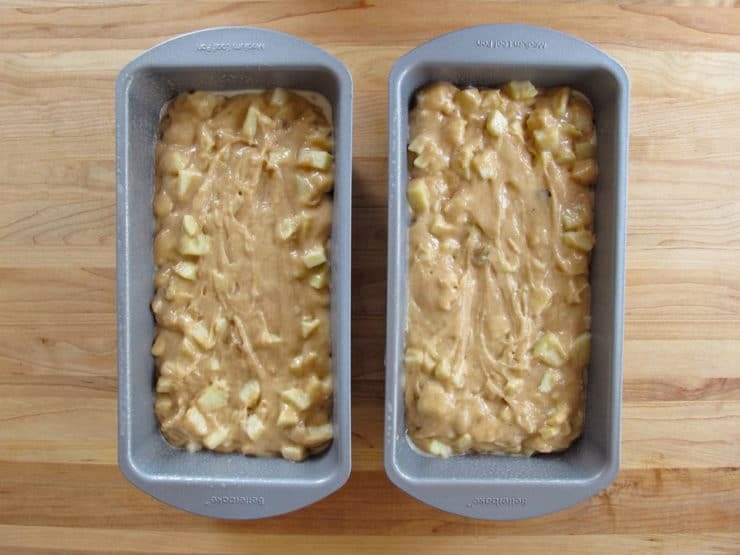 Fold the apple chunks and walnuts into the cake batter. Grease two loaf pans with nonstick cooking oil spray. Divide the batter evenly between the two loaf pans. Combine streusel ingredients in a food processor and pulse until a crumbly topping forms. 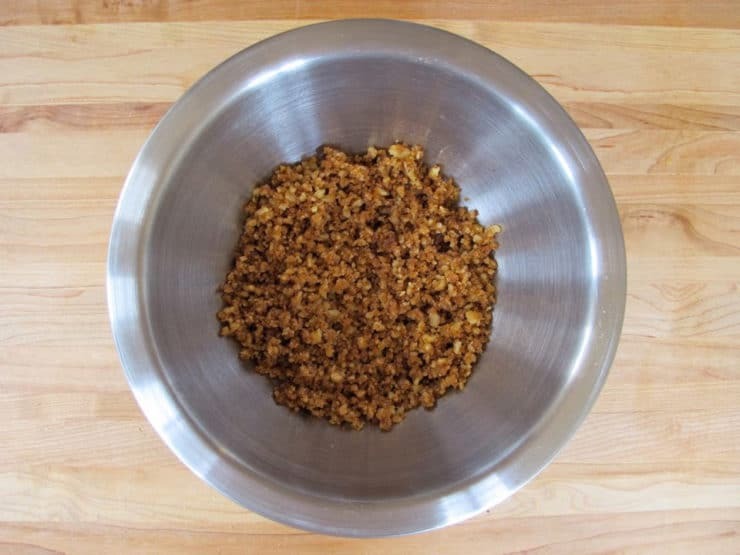 If you don’t have a processor, chop the walnuts into very small pieces and mix them with the other streusel ingredients until the mixture is moist and crumbly. 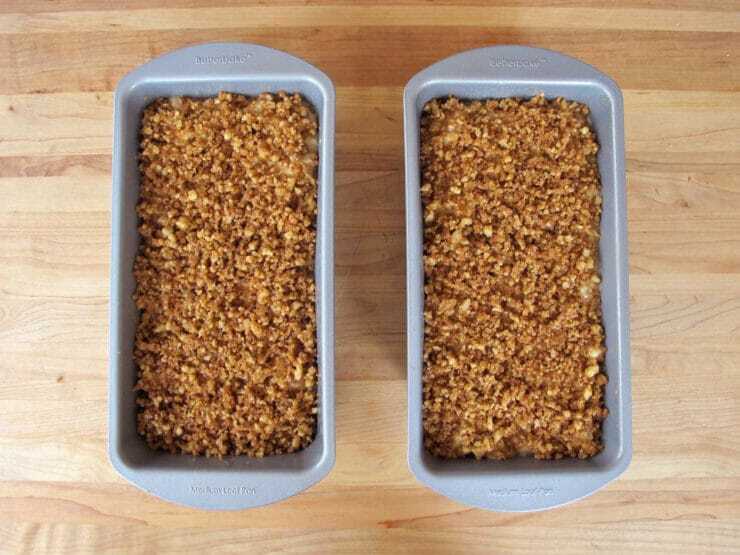 Sprinkle the tops of the two cakes evenly with streusel, half on each cake. Place the cakes into the oven. Bake for 60-70 minutes, turning once halfway through cooking, until the top is brown and a toothpick inserted into the center of the loaf comes out clean. If the top of the cake browns faster than it bakes, cover with foil for the remainder of baking time. It’s a very moist cake, so err on the side of cooking it a little longer if you’re unsure, using the foil to protect against burning. Let the cakes cool for 20 minutes in their pans, then gently release and place on a wire rack to cool completely. If the cakes will not release easily, you can also let them cool completely in the pan. To make the glaze icing, sift powdered sugar into a small mixing bowl. 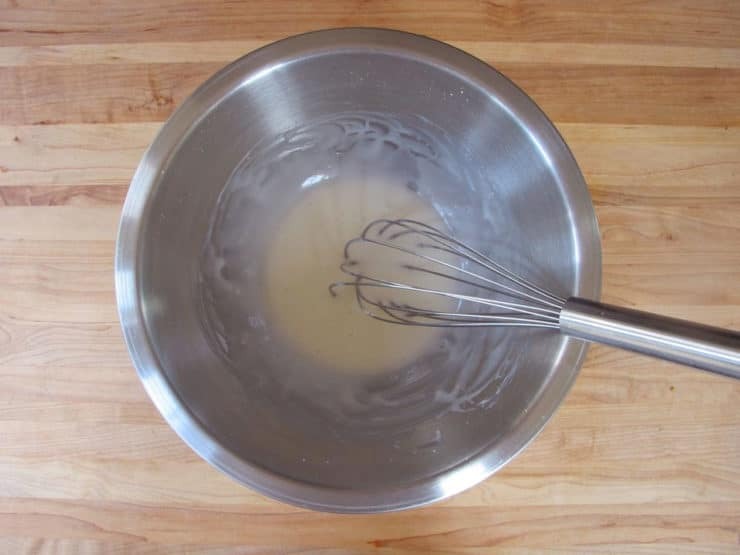 Use a whisk to mix the ingredients until a thick and creamy icing forms. You want the consistency of thick honey; if you need a little more moisture, add milk a few drops at a time. Just a drop can take it from a thick honey to a runny texture, so add with care. The thicker the frosting is, the more white it will dry... adding too much water will cause it to dry somewhat clear, and it won't have that nice thick white look to it. 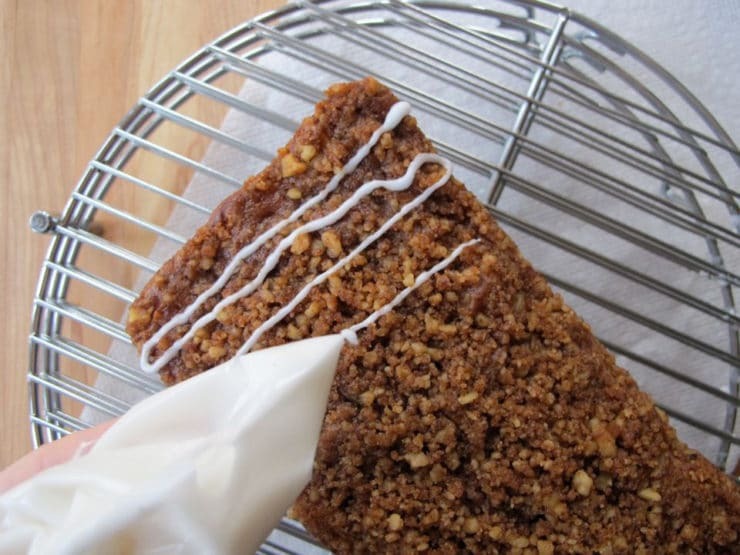 Place cakes on top of a piece of parchment paper or paper towels to catch drips. 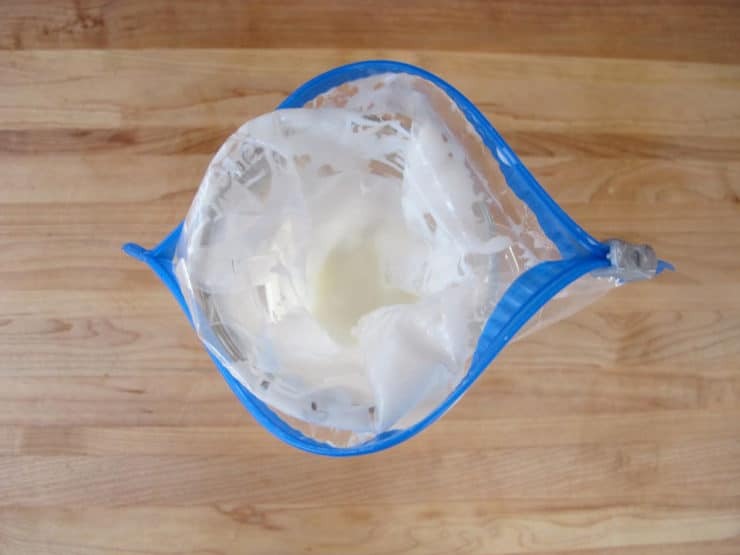 Work the frosting into the corner of the bag and snip off a small corner with scissors. Gently squeeze and drizzle the frosting in a zig-zag pattern across the top of the cakes, using half of the icing for each cake. Let the icing dry for at least 30 minutes to set (it may take longer depending on the weather). Serve cake slices with a cup of tea or coffee. Delicious keeper!!! I reduced sugar to 1 cup in the batter, doubled the spices, 2% fat Greek yogurt. The ability to change the recipe serving size/amounts is BRILLIANT!!!! Made the 16 serving recipe, used 9×13 pan, baked around 45 minutes. Streusel more than enough topping, did not add the glaze. I made this to take to friends for Rosh Hashanah. It was absolutely delicious–received lots of praise and “umms” and “yumms.” A real keeper! I froze a loaf, and took it to the West Coast, to visit my family, whereby it thawed upon my arrival and was immediately devoured by my kids and grandkids. It’s wonderfully moist and not too sweet. And by the way, my daughter re-froze it, and it still tasted every bit as good when it thawed for the 2nd time! Thank you so much, Tori! Made this over the weekend with Honeycrisp apples straight from a local orchard. Came out perfect. Great recipe. Hi, I want to make this again to give as gifts. As I said in my previous review, I made it with honeycrisp apples and it was great! I’m wondering if I make it with Granny Smith, as per the recipe, will the apple pieces have a tart taste? I know people who don’t like Granny Smiths because of its taste. Not at all, it will be sweet. 🙂 Enjoy! I don’t see why not. 🙂 I haven’t tried it but it should work. Made this today and loved it! My store didn’t have Granny Smith apples so I used honeycrisp instead. I wanted to thank you for how well detailed your instructions are. It makes it so easy to follow, especially in a long recipe. And thank you for telling us about putting a bag in a glass when we’re ready to put the icing on the cake. What a great idea, it made it so easy! Would there be a difference in texture w nonfat Greek yogurt? Not really, nonfat will work just fine. My husband has a gluten allergy; what do you think about using gf flour in this recipe? It looks so good; I’d love to serve it as part of our Rosh lunch! Hi Kim! I have never tried it with this recipe, however cup-for-cup GF flour alternatives tend to work well in quick breads/loaf cakes like this. I say it’s definitely worth trying! Can non-dairy Greek yogurt be a replacement in order to be served with a fleishig meal? Greek yogurt from the available brand is somewhat more runny than the dairy sort from another brand. Those are the options we have at our local kosher grocery store. Hi Chava, honestly I have never tried it with non-dairy yogurt. Thinking it would probably be fine, but not certain. Often non-dairy yogurts are sweetened, so if you use one with sugar be sure to cut down on the sugar in this recipe a bit so it doesn’t become overly sweet. I made this cake this weekend and baked it in a tube pan. It was great! I made this recipe a few days ago and it is delicious. In spite of my inattentive attempts to mess it up, including mismeasuring the flour (fixed just in time), spilling in too much clove, and accidentally using non-Greek yogurt, it is very tasty. So moist and tasty, and the apple flavor really stands out. I came across this cake because I had Greek yoghurt that needed to be used, and 3 trees full of apples. I did make a few changes to the recipe that worked well. I had no walnuts so I left them out. I only added 1/3 cup of sugar (just couldn’t bring myself to add more), I used wholemeal flour in the cake. For the topping I used LSA, Hazlenut meal, wattleseed, sugar and butter and it worked well. Next time I’ll make sure I have walnuts before I start. I see you used almond extract. Can I use vanilla instead? Sounds like a wonderful apple cake. Can’t wait to try it. Was wondering, do you think it would work with a gluten-free flour base as well? Or might it be too moist? Thanks. The consistency of the cake reminded me a lot of my mum’s banana bread, and it occurred to me that this could make a nice daily treat, as well. I made the recipe again tonight, leaving out the streusel and glaze, and substituting half of the flour for whole-wheat flour. I also made it in muffin pans. I’m a teacher and I love having healthy muffins to eat mid-morning to keep me going through the day, so I thought this might be one to add to my rotation. It turned out really delish! I’ve been looking for a good apple-cinnamon muffin recipe for a while, and I think this recipe is one I’m bound to repeat. Do you have any other suggestions for converting cake recipes like this into muffin form, and increasing the health-factor? Great ideas JennyBean! Re: healthy subs, subbing half whole wheat flour for white is usually a good sub to start with. I sometimes replace some of the oil/butter with applesauce (never more than half, otherwise the texture is affected). This cake has very little butter though, so I wouldn’t bother with it. And of course, using Greek yogurt in place of sour cream is always a helpful sub. So happy you liked the cake! I love yogurt and I use it in almost anything. Great recipe! Thanks for sharing. I try to eat low fat and was looking to use up some marshy apples and greek yogurt that were taking up space in the refrigerator. This is delicious! I didn’t drizzle with frosting. Instead, I added a little flour and a little extra butter 2-3Tbsp total) to the brown sugar topping and cut it together with a fork. I topped both cakes and baked as directed. The topping made a crevasse and the sweetness sunk through the middle while baking. This made a delicious treat that wasn’t just on top like most streusels. As one of your regular English readers is it possible for you to give cake measurements in grams/ozs as we as a rule do not use cup measurements and our butter does not come in sticks!!!!!!!!! I really enjoy your column. Helena, I brought myself some cup measures from sainsburys and that helps. I wasn’t very good at converting the measure into ” English” measurements. Love this recipe. (I also love another apple cake recipe you recently posted BTW.) To the point: should I use vanilla Greek yogurt or plain, or it doesn’t matter? Thanks. Hi Alice, I used plain. You can use vanilla, but the cake will turn out sweeter, so you may want to cut some of the added sugar to balance it. Also, any fat content will do– I used nonfat and it worked out great. Enjoy! 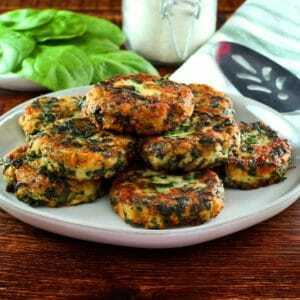 I love these resipes i cook a lot and that will be good for my kids. This sounds delicious! I have a plethora of apple-cinnamon flavored Chobani in my fridge that I need to use up soon, so this might be just the recipe! Can’t wait to try it! This looks Fantastic! will definitely be making this for my family soon. I’m just wondering how long you think the cake would stay fresh? I often send my brother in law who is deployed in the middle east packages of cookies and such. I know he would love this cake! 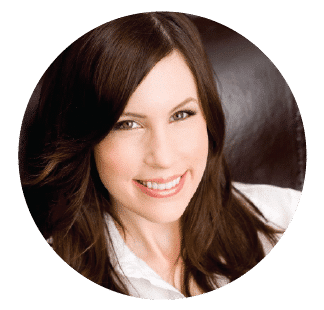 Hi Malka– first off, many thanks to your brother for his service! We ate this cake on the third day and it was still fresh and moist. I wrapped it in plastic wrap and again in foil. The only thing I would worry about is the length of time it takes to ship, and the temperature it will be kept at. It’s a very moist cake, and it might get moldy if transported in warm conditions for a few days. Perhaps there is a way you can keep it cool until it gets to him, with an ice pack perhaps? 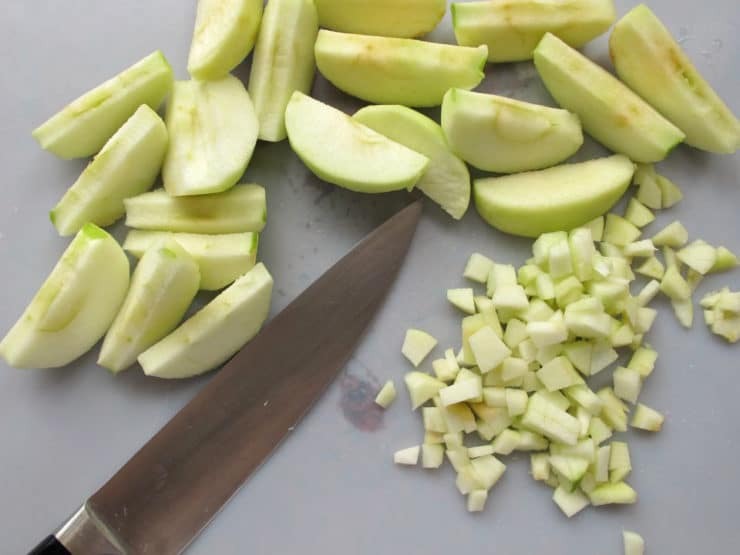 You also might want to cut one of the apples out of the recipe, so it doesn’t have quite as much fruit in it– the fruit adds to the moisture content. I’m sorry, I’m just not familiar with the shipping times, and I don’t want to give you the wrong advice! Hope that helps.